WALTONS is an established Jewellers & Goldsmiths in the heart of Caversham. In their workshop on the premises they can manufacture and repair items in platinum, gold & silver. Restringing, engraving, valuations, watch repairs & batteries fitted. 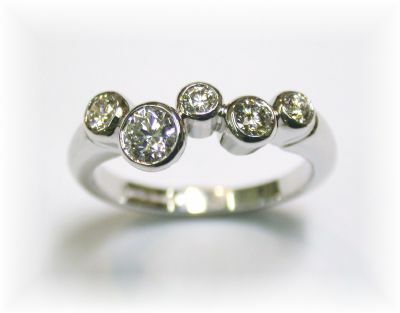 jewellery to his clients individual specifications, and is happy to discuss any ideas you may have. As manufacturing goldsmiths, the shop has a large display of platinum, gold & silver jewellery which has been hand finished in the workshop on the premises, thus offering excellent value for money. choosing the most important rings they will ever own. that never need a battery & have a five year guarantee.